A remain-supporting MP has blamed Theresa May after he was attacked in the street the day after the PM blamed MPs for the failure of Brexit. The PM had “whipped up fear and division” in the country, said the MP attacked in the street on Thursday afternoon. 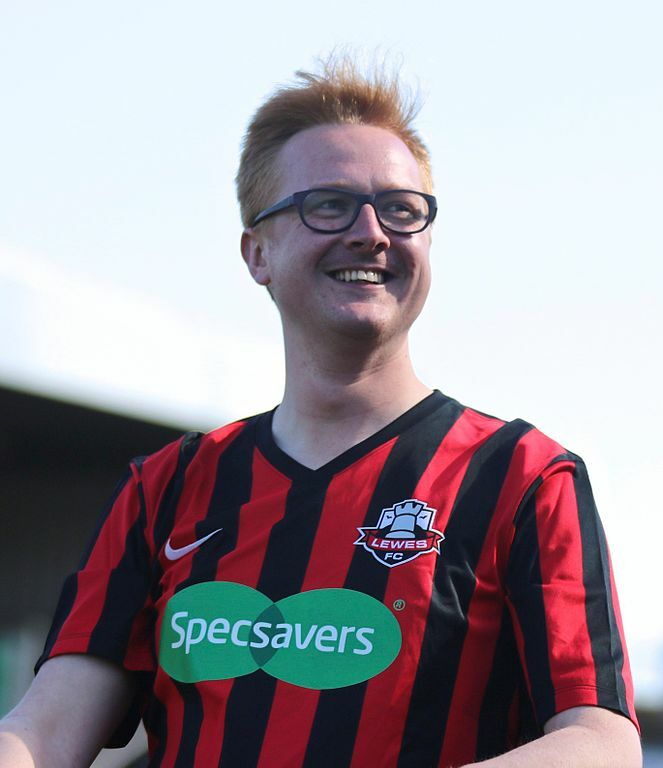 Lloyd Russell-Moyle was attacked on the street by a man calling him “traitor,” damaging his glasses and trying to hit him as the Brighton Kemptown MP was with an ITV News news crew. “I was out today in the street of Kemptown with @itvnews, a vast majority want to remain and have a final say vote on deal vs remain. Unfortunately at the end of the day a man came up and started shouting at the TV crew and me. Saying MPs are the problems & we are traitors. 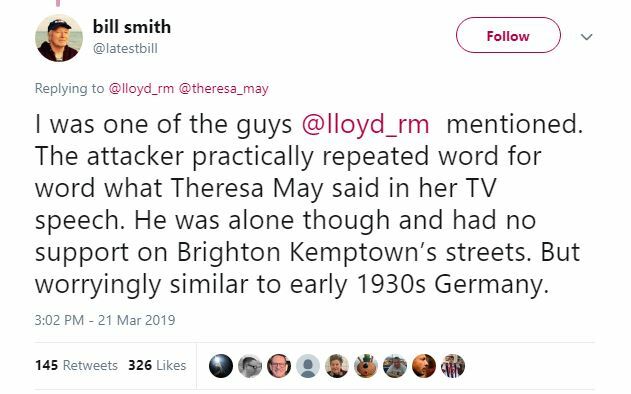 TV director Bill Smith who witnessed and tried to prevent the assault tweeted that his MP was “attacked by a guy who repeated Theresa May’s claims aggressively that MPs were stopping Brexit. I did with others grab the guy to stop him hurting Lloyd more. The Brighton Kemptown MP told his local paper The Brighton Argus that he had been leafleting for the People’s Vote march on Saturday. “This gentleman came out of Morrisons and said ‘why the hell are you doing this, you’re trying to deny the will of the people. 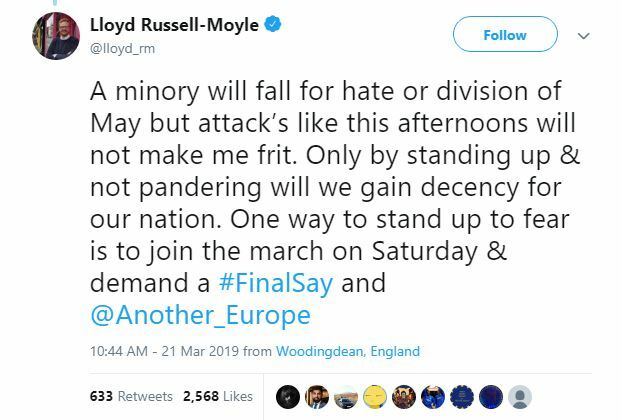 He got very agitated and lunged for me,” said Lloyd Russell-Moyle. The MP blamed the Prime Minister for telling the country on Wednesday night: “that it’s her vs MPs. That MPs have frustrated the will of the people. Lloyd Russell-Moyle said he would be informing the police but not calling for charges to be pressed againts the man who left the scene. The PM’s spokesperson denied that her incendiary address this week had put MPs in danger by telling the country she was on their side while blaming MPs for her Brexit failures. 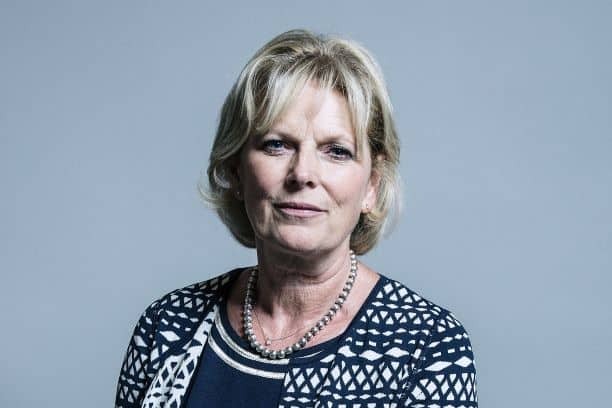 But last night former Conservative MP and now member of the Independent Group Anna Soubry talked of death threats over Brexit. 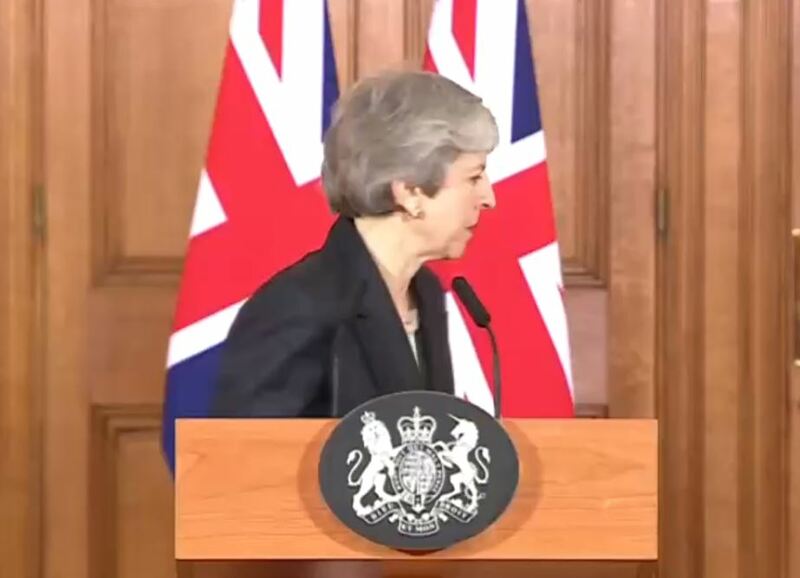 Asked about the Prime Minister’s inflammatory comments, Anna Soubry told reporters she faced “very, very serious death threats, especially when people know your home address”. “I can’t go home this weekend, I’m not able to go home this weekend, I am not safe,” the MP added. The People’s Vote March on Saturday from Park Lane to Westminster is set to be one of the biggest in history.